Sexting – desribed by the Oxford English Dictionary as the distribution of sexually explicit photographs or messages via mobile phone – may lead to harmful consequences for some young people. There has been recent government guidelines on safe use of social media. School nurses and other primary care nurses working with children and young people may have a health promotion role in sexting because protecting them from potentially harmful sexual behaviour is a public health concern. This qualitative study interviewed 18 school nurses, health visitors and family nurses (PHNs) in England as to their views, practice, experience and confidence in dealing with sexting and potentially harmful situations. The participants suggested that sexting was an issue affecting young people they worked with. Some suggested that sexting had become normal among young people, but most also provided real world critical incidents of child abuse and exploitation related to sexting. Online grooming for harmful sexual activity was identified by some participants, after the event, particularly in relation to young people with learning disabilities. Participants identified their limited opportunities to deal with the issue. Overall the nurses and health visitors were not confident about discussing sexting with young people. 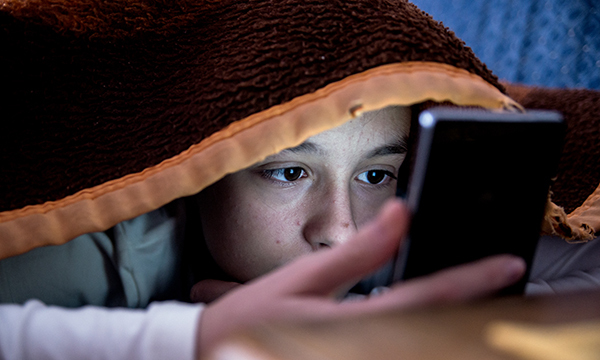 Improving primary care nurses’ knowledge about how to promote digital safety in children and young people may be an important public health and safeguarding measure. Clark M, Lewis A, Bradshaw S et al (2018) How public health nurses' deal with sexting among young people: a qualitative inquiry using the critical incident technique. BMC Public Health. 18, 1, 729. doi: 10.1186/s12889-018-5642-z.